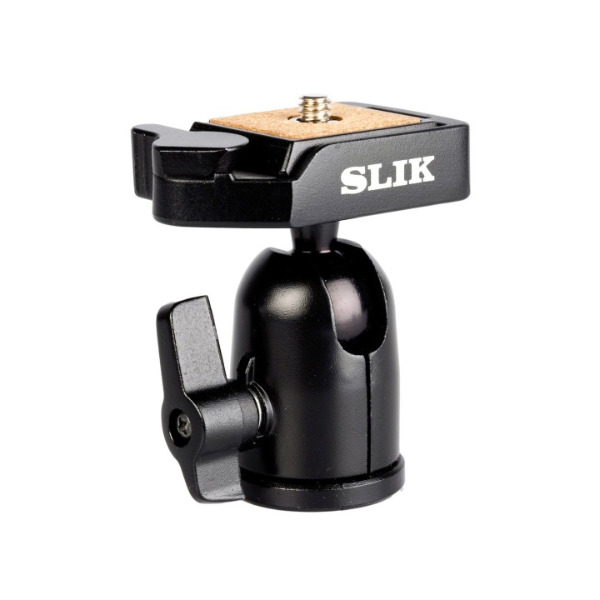 The Slik SBH-100 DQ Ball Head with Quick Release is ideal for any point-and-shoot digital or film camera, a bridge camera, or a lightweight SLR system. The head features an easy to use single-lever release that locks the camera into place with one single action. In addition, it also features a handy quick release system which makes the connection and removal of the camera a "snap". Differing itself from many inexpensive ball heads on the market, the base of this head can rotate in addition to the ball movement. This makes horizontal movement of the camera much faster and easier.